Butter, nutmeg, toilet paper…Top 30 Art Secrets – PART ONE! What I love most about being self-taught is the “tunnel vision” I have when it comes to good art. 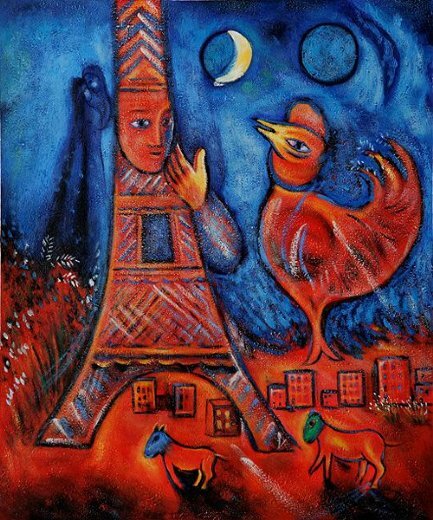 Of course I am endlessly inspired by the works of Chagall, Frida Kahlo, Kandinsky, Picasso…but I do like standing there in wonderment – there is a joy to what we don’t know, right? And that is what art is – my permission to play. When else can I dig my hands in a big bucket of buttons and sequins, diving for treasure, piecing it all together, and calling it “art”? Life is a story, and so is every “thing” you create – so put your story on your canvas – with pieces of you. I’m being ambitious in my attempt to organize my art studio. But it’s not quite working out. Another joy of being self taught is you get to learn by experience and teach yourself. So I’d like to share some of my unique little techniques. Don’t be scared – some of the most famous artists used crazy techniques –Check out these awesome artists and their crazy techniques! 1.) Get inspired with retail therapy. These are spice shakers – how fun?! 2.) Dinner taking forever? Make a butter sculpture – on your plate. 3.) I made this out of toilet paper – that’s where the texture comes from. You can too. 4.) And you can always read some fun shirt gab. Shirts say the darndest things. 5.) You can paint on clips – who doesn’t need another clip for an empty bag of chips? 6.) Nature – it’s everywhere, so you can’t avoid being inspired. Sorry. 7.) Take a break and just have fun with someone you love. This guy’s pretty cool. He’s my husband. 8.) Drop a few globs of paint on a canvas and do something. 9.) Focus on physical sensations. Hold a paintbrush, crayon, whatever, and pretend like you’re moving it through water. 10.) Nutmeg – It’s how I have these trees texture. Just sprinkle it on wet paint. ***bonus tip! Did you know that Jackson Pollack used to dance on his canvases? Stomp around on some butcher paper, make a big, tap-dancing mess…or just tap dance. Pssst…I could still use your help – vote and help me pick out the next greeting card to sell on Etsy! Love this! Inspiration is everywhere. My husband is an artist, I try to be, and I’m hoping all of my kids will be too. I know my oldest is already. Thanks for all the ideas. How fun. I am all about art and playtime. I love these ideas. How fun! I agree that inspiration is everywhere. Nice post! There have been dinners where I could have gone with the butter sculpture–f my fellow diners would have let me. Fun ideas Amy. I whole-heartedly agree that inspiration is everywhere. Just today I was playing with brushes made from a gathering of twigs and some ornamental grasses. Delightful. Thank you Amy, This was a delight. And you and your husband hugging was the most adorable thing I saw all day and I saw a cat massaging another cat so its not like it was a dry day. keep inspiring us!